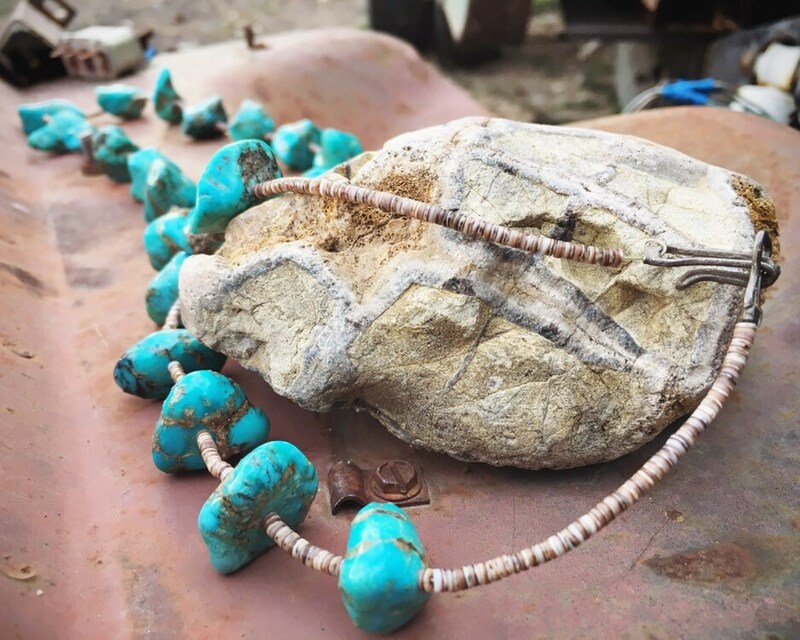 This vintage turquoise nugget and heishi necklace is stand out for a few reasons. First, the age. This comes from the estate of a woman who bought the piece in the 1950s and possibly earlier. Next, length. 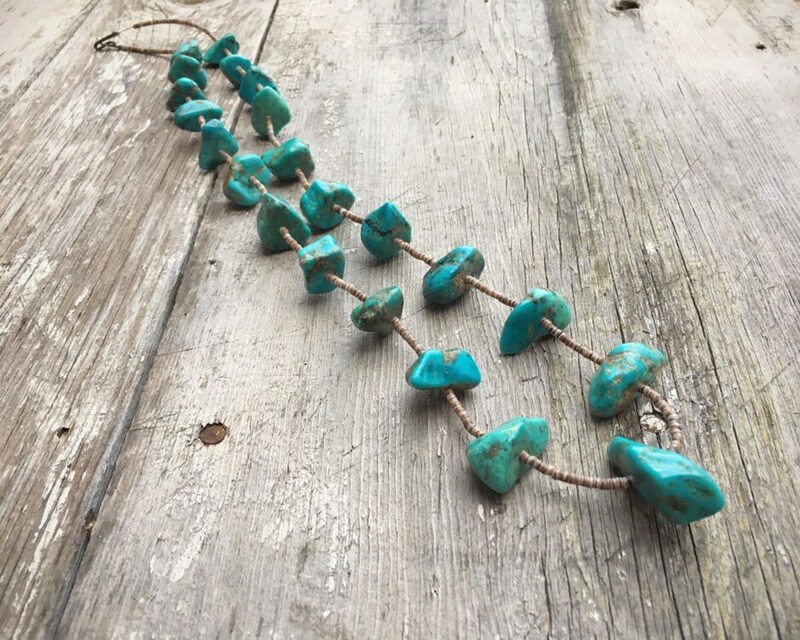 This is among the longest of these types of necklaces I've seen, and that length makes it a great piece for layering with other turquoise necklaces. 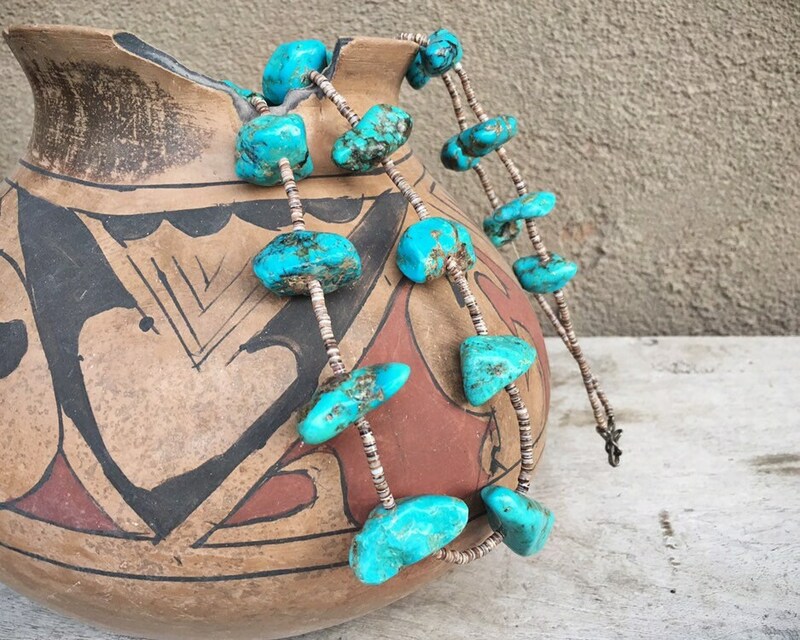 The color of the turquoise is deep, vibrant, and varying. 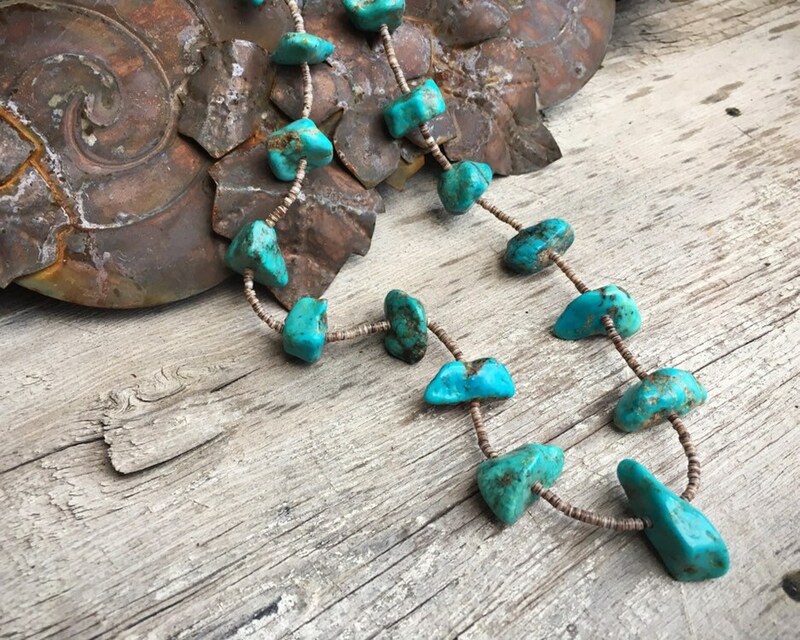 It is the color we've come to associate with the word "turquoise"--blue with just a hint of green tone--and there are parts that are very much creamy and beautiful. And finally, the 22 nuggets are quite large and individually of value. 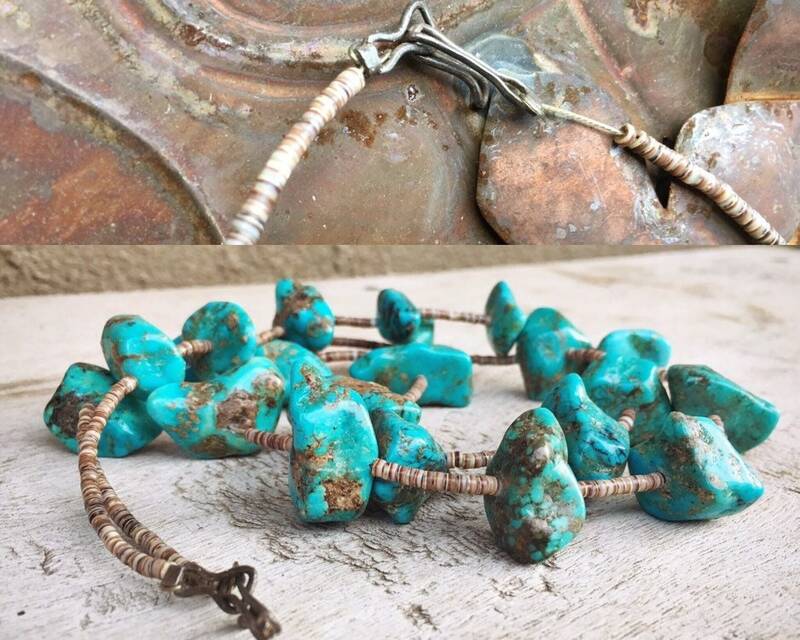 The turquoise nuggets are heavily matrixed with mother stone, and because of the softness of the stone, it has been stabilized. 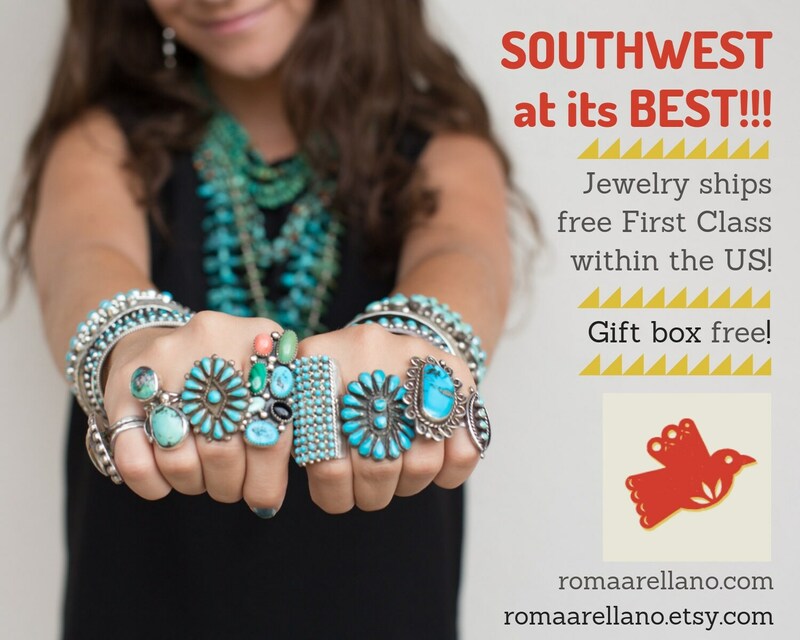 The turquoise is from the Arizona Kingman Mine. Each nugget is strung between fine pen shell heishi. The piece is strung on wire, and the hook and clasp are very much old style. We believe this is Santo Domingo. 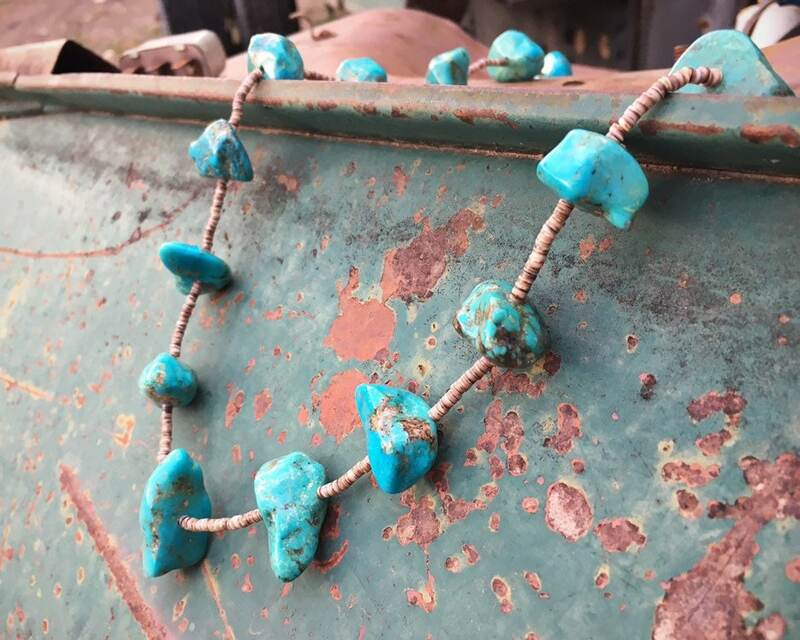 The necklaces measures 34" in total length. The nuggets are in good condition, no major chips or breaks. The wire has lengthened from weight and age. 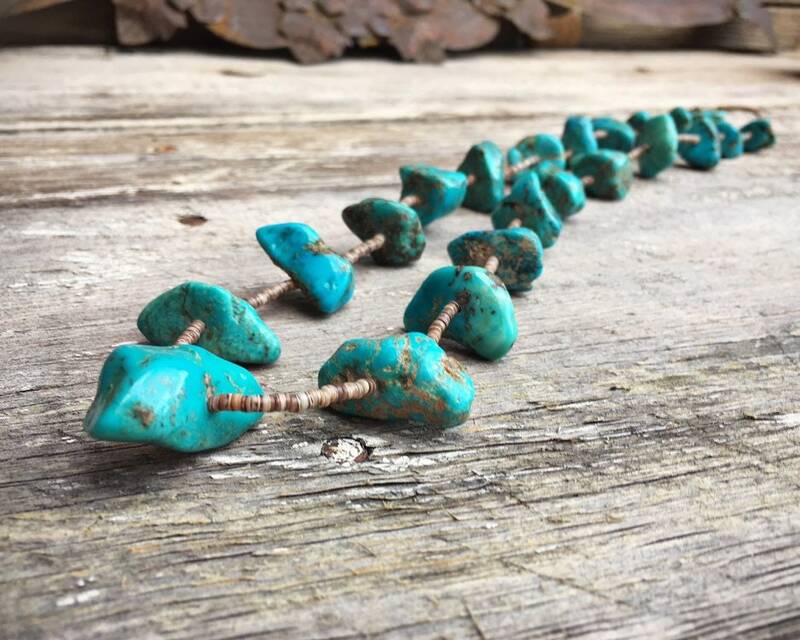 The largest turquoise nugget is 1-1/2" long by 1/2" wide, and the smallest is still quite large at about 3/4" wide by 3/8" thick. 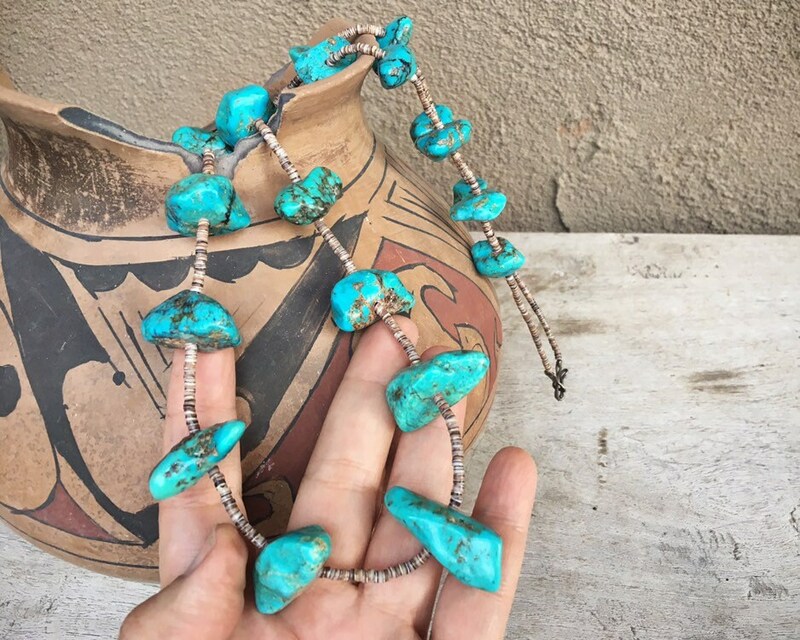 Vanishing turquoise--a coup for the true collector!